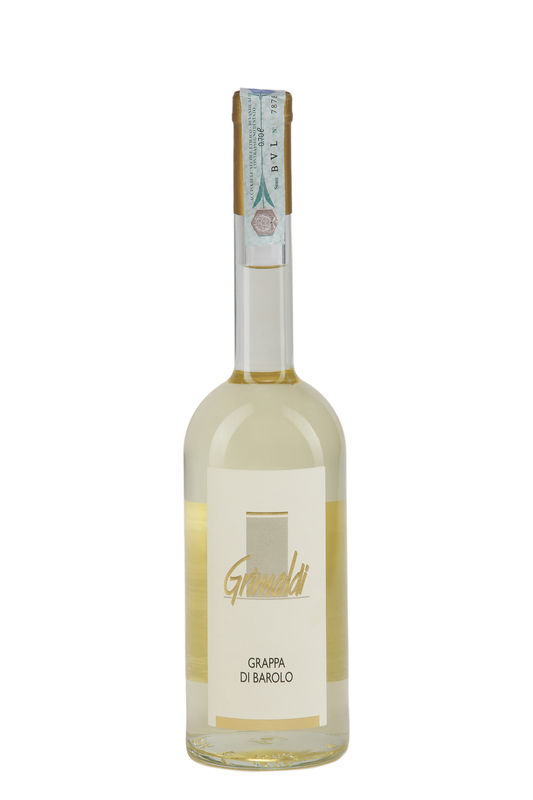 From the precious fermented pomace of our Barolo nebbiolo grapes, we obtain a small quantity of this rare grappa. With slow distillation in small copper vapour boilers and some time in oak casks, it acquires complex aromas, delicate perfumes and an unmistakeable smoothness. The colour is a typical amber greenish-yellow, with an intense perfume with scents of vanilla and a clean taste.